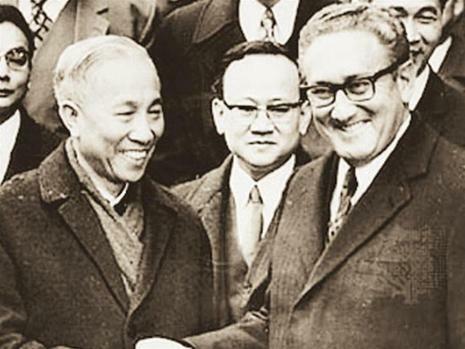 Along with North Vietnamese Politburo Member Le Duc Tho, Kissinger was awarded the Nobel Peace Prize on December 10, 1973, for their work in negotiating the ceasefires contained in the Paris Peace Accords on "Ending the War and Restoring Peace in Vietnam," signed the January previous. 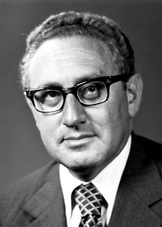 Tho rejected the award, telling Kissinger that peace had not been really restored in South Vietnam. Kissinger wrote to the Nobel Committee that he accepted the award "with humility." The conflict continued until an invasion of the South by the North Vietnamese Army resulted in a North Vietnamese victory in 1975 and the subsequent progression of the Pathet Lao in Laos towards figurehead status, and the rise of the genocidal Khmer Rouge in Cambodia. There are people today who cynically shrug their shoulders at negotiated agreements. This is an amoral, nay, a dangerous attitude. Ceasefire agreements between states must not be called in question, they must not be interpreted merely as paper resolutions, but as a moral and inviable obligation between the states that have signed them. Only with an honest approach of this kind to the intentions and obligations of international agreements can they help us along the road to peace.